Rabbi Pinchas Goldschmidt calls to close mosques that preach radical Islam, block extremists from social networks. 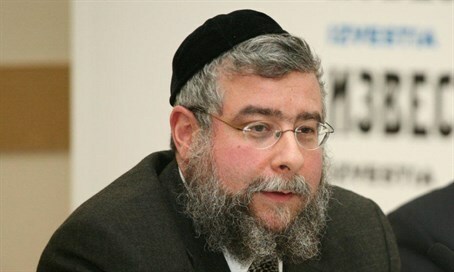 A statement issued by the Chief Rabbi of Moscow Pinchas Goldschmidt called to close the mosques of radical preachers and imams and prevent them from accessing social networks. "I believe that the 21st century has reverted back to the religious wars of the Middle Ages. The rise of Daesh (Islamic State) happened 15 years after the September 11 World Trade Center attack when Islam has become a major threat to democracy," said Rabbi Goldschmidt. He called on governments worldwide to fight the extremist Islamic indoctrination by closing mosques where hate speech echoes, to arrest imams who preach incitement against other religions and prevent their access to social networks in order to stop them from spreading to their inflammatory doctrine. "There are extremist aspects in many religions, especially Islam. The fascist extension of Islam, Daesh (ISIS), is part of Islam and must be addressed. We must recognize that we have entered into a religious war, as was routine in the middle Ages. If we very clearly define what Islamic extremism is, it will be easier for the intelligence services around the world to keep track of those who constitute a threat to western values, isolate them and make sure that threat is not increasing," added Rabbi Goldschmidt. "I believe this is necessary in order to speed up the transformation. Incidents such as what took place in Cologne, Germany, on New Year's Eve will happen again until immigrants are fully integrated, and forming a parallel society and ghettos of intolerance will be prevented."